The University engages in reflection and action to build intercultural aptitudes, create a strong sense of inclusion, and enrich our intellectual and social life. Stop. There beside you is another person. Meet [them]. This sort of encounter is the greatest event, the most vital experience of all. We are one humanity and each deeply different. We may find no better place in which to embrace this paradox than the university. Differences in values, circumstance, and intellectual viewpoint have incited humankind’s worst conflicts. Considered with respect, they afford great learning. Wholly embraced, they promise to be our greatest strength. UBC welcomes responsibility for promoting intercultural understanding on its campuses. Working to build community in diversity, the University strives to increase access for all and particularly for historically disadvantaged groups. UBC is a safe place for significant conversations across profound cultural difference. Positioned to engage a full range of local, national, and international experiences and perspectives, UBC collaborates to reduce conflict and generate sustainable solutions to the complex questions of our time. Our task is to re-imagine what UBC is and whom it serves, and to recognize that the University’s foundation is strengthened as the walls between us come down. UBC has begun to implement the mid-level Intercultural Understanding Strategic Plan for the Vancouver campus, which addresses intercultural understanding amongst students, faculty and staff. The development of a mid-level plan for the Okanagan campus has also begun. UBC has established a proactive leadership program with substantial multi-level initiatives, creating an environment that identifies, develops and advances female faculty towards leadership roles within the University. In August of 2014, over 1500 student leaders completed the newly developed “Building Respectful and Inclusive Communities” training. 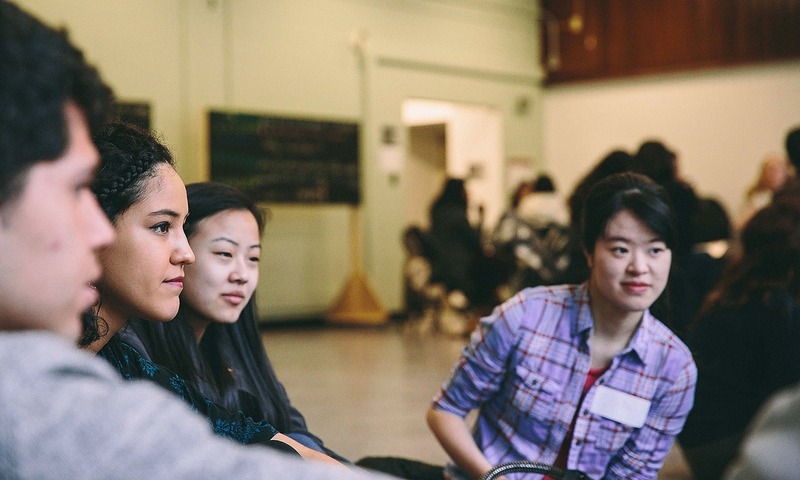 Student leaders completed training sessions on UBC’s policies and values for a respectful, inclusive and safe environment, and developing their competencies and understanding with regard to issues of equity and inclusion.